I was thinking just copy/pasting the title here a thousand times, but whatever. 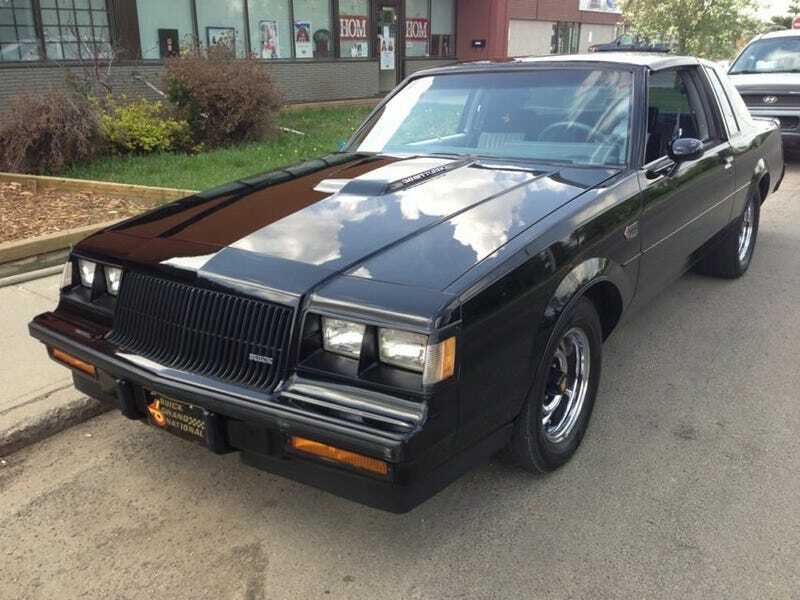 Enough to say: the Buick Grand National and GNX used to be my favourite road cars. After watching the film, I would never want one. There's just no nicer way of saying it: bunch of people in mid-life crisis having a hard-on the fact that the GN produced .1 second faster acceleration in 0-60mph than a contemporary Ferrari. What makes it even worse, that the majority of the film is spent on the face of these people, in relatively tight close-ups. And Ferraris. Then cut to 30 black Buicks. Which totally misses the mark of making the car interesting. It makes the car however superbly dated and uninteresting. Never mentions why turbocharging is interesting, never explains what a turbocharger is. Not that I didn't know what it was or how it worked, but it completely fails to explain how it is interesting in the great picture of things. Basically, the movie says the GN is a BLACK CAR and it produces some fine quarter-mile times. Cut to old person's face and let him say. BLACK CAR. Because, you know - BLACK CAR.